EDITORIAL: Is AM Radio dead? I was recently reminded that Tesla automobiles, some of the highest-tech cars made today, don’t have AM radios. Apparently BMW’s electric cars don’t either. According to Motherboard the problem is that electric car motors cause too much interference on AM radio. I’ll buy that, but I would also buy that the top people at these super-techy car companies think AM radio is a dinosaur. AM radio is a dinosaur. Let’s be honest here. In today’s world AM radio seems positively ancient. Analog radio broadcasting in the 1MHz band is really a very limited way of getting information across. Sound quality is awful and a lot of things (including, evidently, large electric motors) can cause so much interference that you can’t get reception. AM radio isn’t going to get better either. Once the darling of rock-and-roll stations, it’s become a haven for toxic and polarizing talk radio, because no one else wants to be on it. Even then, a lot of cars have HD Radio built in. HD Radio uses the FM band to broadcast a digital version of the same content from AM radio, but with better quality. If you’re looking for the stuff you’re getting from AM radio now, you can use HD Radio if your car supports it or you can stream using iHeartRadio, Slacker, or something else. So it seems like AM radio is just an expensive waste of time. Yeah, but there’s more to it than that. It’s true that AM radio costs a lot of money to broadcast. However, the relatively low frequency and simple signal means that if you get reception at all (if your fancy electric car doesn’t block it) you could get reception from some amazing distances. I’ve gotten stations from 500 miles away on a clear evening. AM radio, like most broadcasts, travels further at night for several reasons. The sun itself causes interference, and believe it or not radio is affected by wind and weather too. Night time tends to be quieter weather-wise on average. AM radio plays a part in national security as well. Several AM radio stations across the country are designated as “clear channels” meaning they can broadcast a super-powerful signal on a frequency that no one else in their part of the country can. This was envisioned as a way to get information out to as many people as possible and it still works that way in cases of national emergency or weather tragedy. 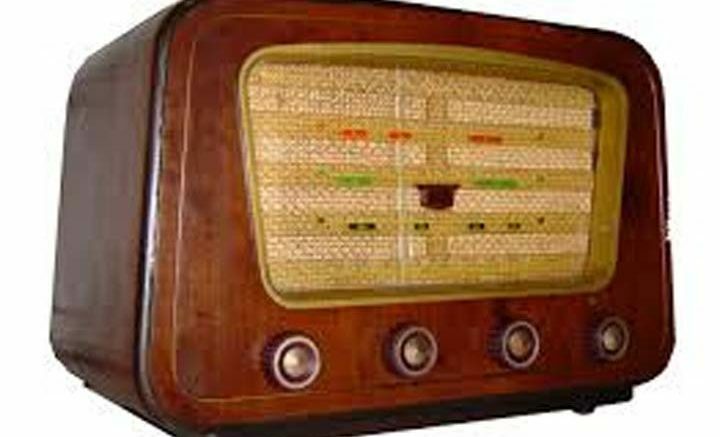 Why has AM radio not died off already? Apparently about 3 million people listen to AM radio every day. More surprising, about half of the nation’s most popular radio stations are on AM. That last statistic makes more sense when you realize that AM can cover an area 10 times the size of FM. Still, it’s impressive for a medium that many people would write off as dead. AM radio is easy to receive and generally takes a tiny antenna. In its early days, it was possible to get AM radio with nothing more than a few parts. You didn’t even need a power source. It’s simple, it works, and it’s cheap. That last part — cheap — is what keeps AM radio in cars. Most people have given up on radio altogether unless they’re driving. I would have to guess that most carmakers think it’s cheaper to keep AM radio in the entertainment package. Otherwise they would have to explain why it’s not there. Forward-thinking Tesla might have proven that point. They give their owners a free subscription to internet radio service TuneIn. They have to, in order to compensate for the lack of AM. I’m sure that costs more than just including an AM radio tuner chip. Apparently that’s not an option for most electrics. Looking for an AM radio? If you have decided that AM radio deserves to live a bit longer, you might want to check out the excellent selection of radios at Solid Signal. You’ll find several options there worth considering.